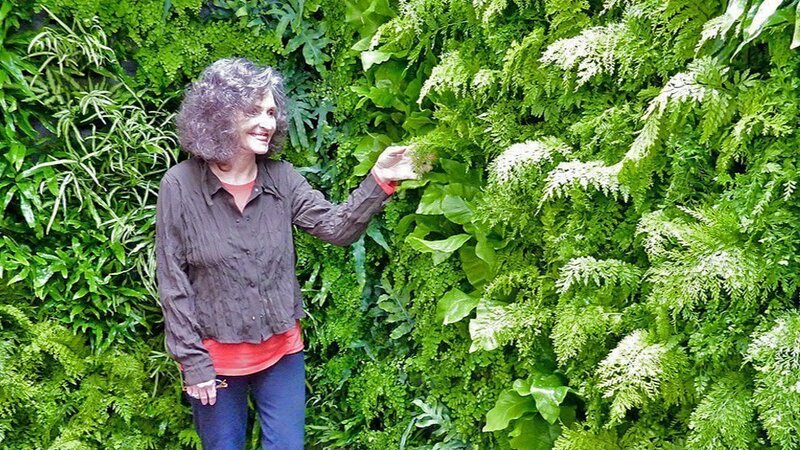 San Francisco Conservatory of Flowers Vertical Garden created with Florafelt Pockets. 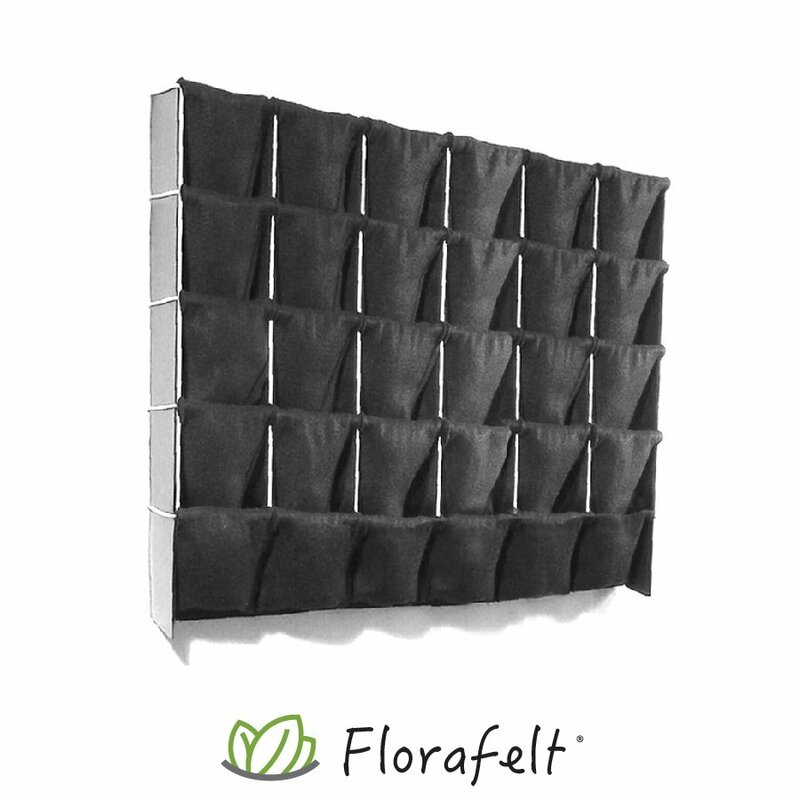 We manufacture ingeniously simple vertical garden kits and modular systems for interior and exterior wallscaping. 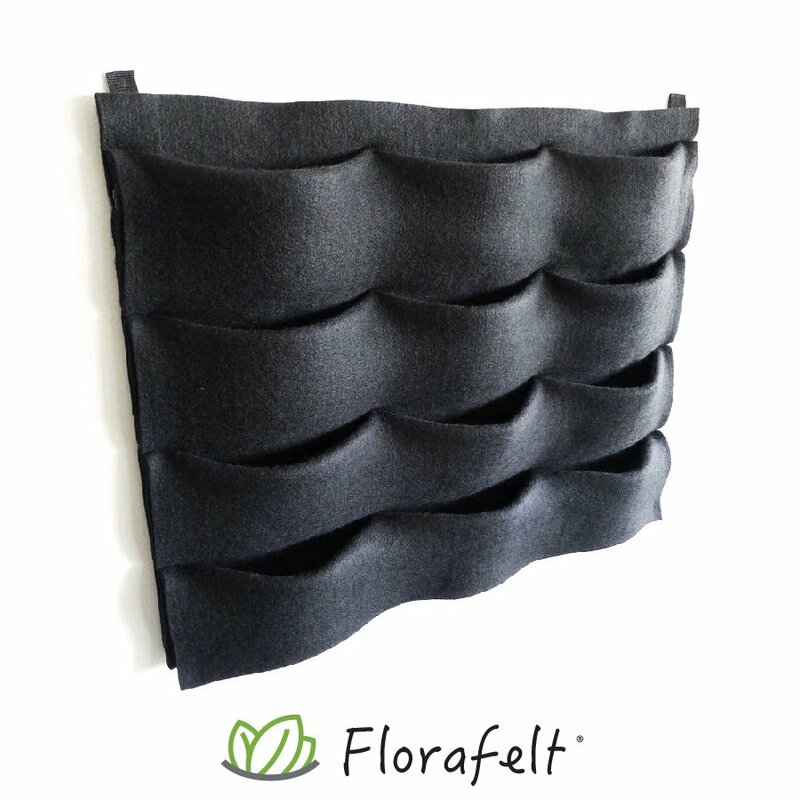 Made from our 100% recycled plant-loving Florafelt® horticulture fabric, they are an elegant solution for establishing lush green spaces anywhere, from homes and workplaces to entire facades. 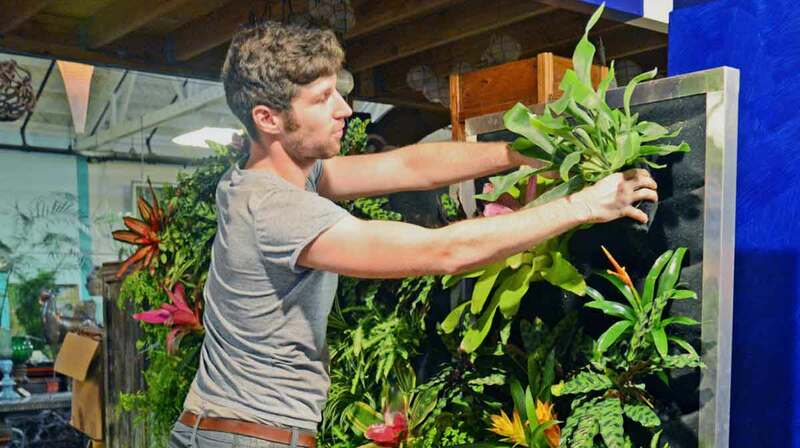 Take your plants to new heights. 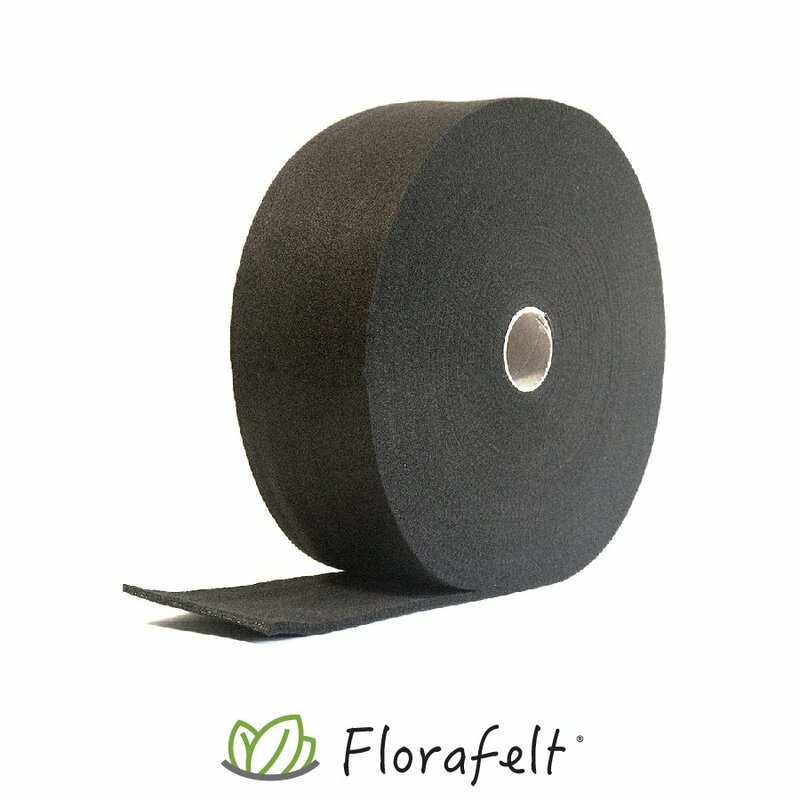 Proudly made in the USA we take special care to make sure you have a great garden. 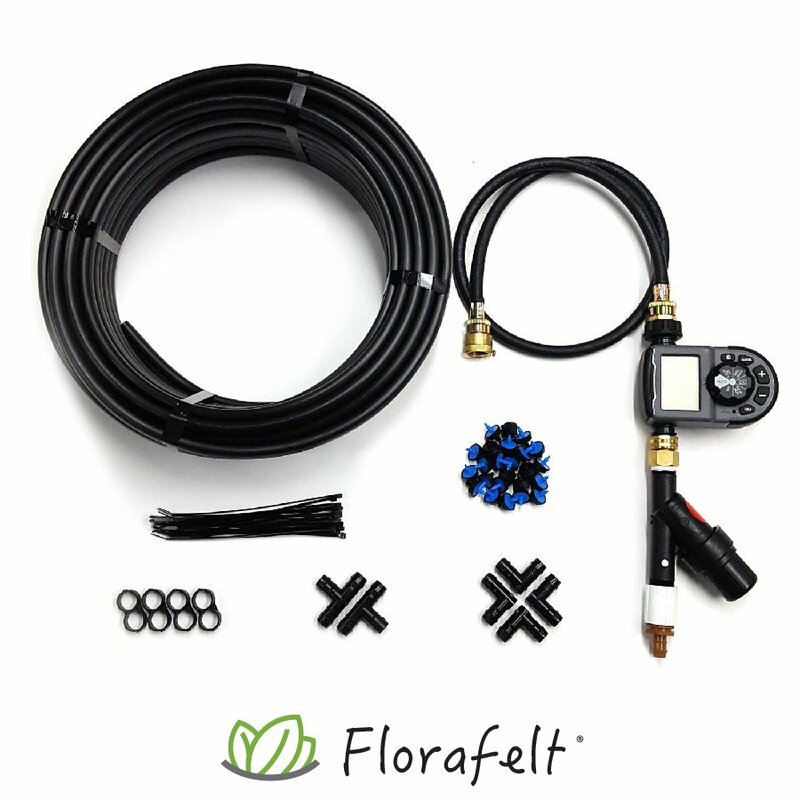 Get to know our products that range from large scale projects to easy DIY home gardens. Let our guide help you. Standalone plug and play units. 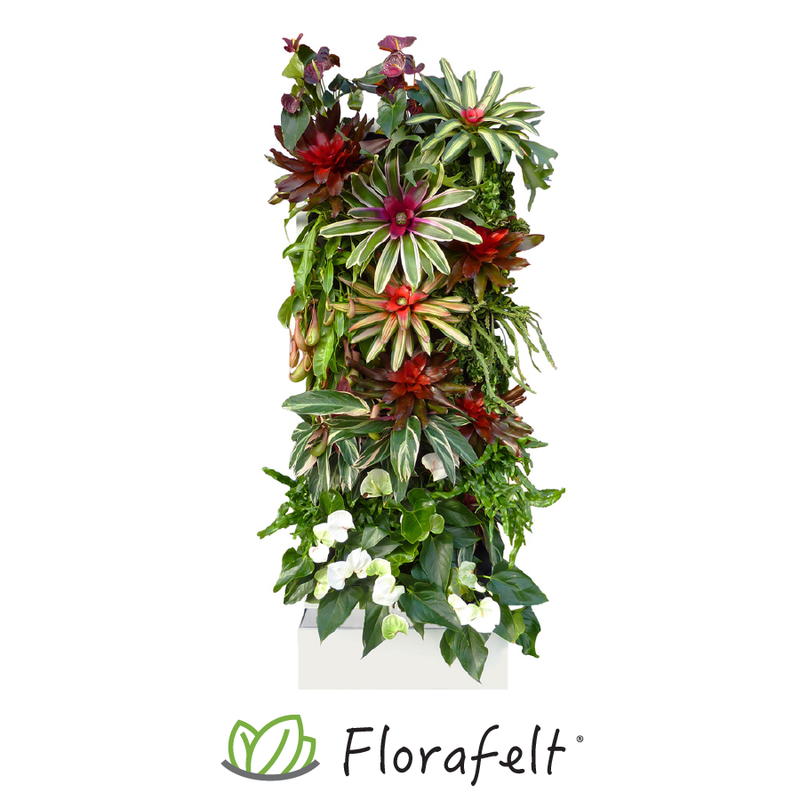 Get inspired by the amazing vertical gardens our customers have created with Florafelt. He built one, and here they come. 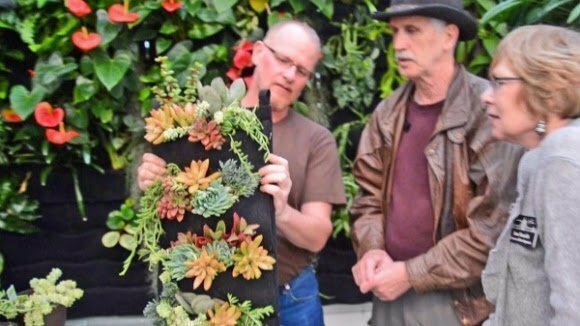 See what our thriving community of vertical plant wizards are doing. 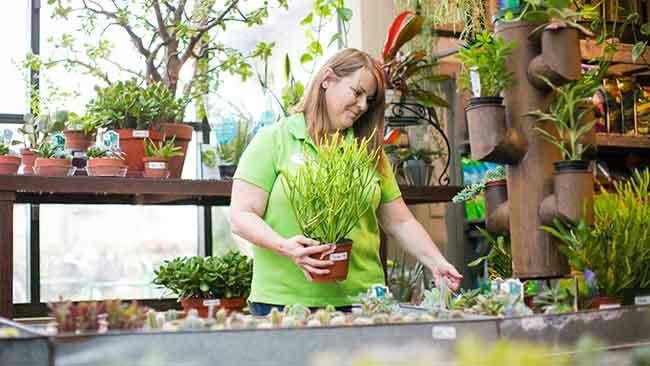 Get inspiration and read stories from home gardeners, landscapers, architects and more. 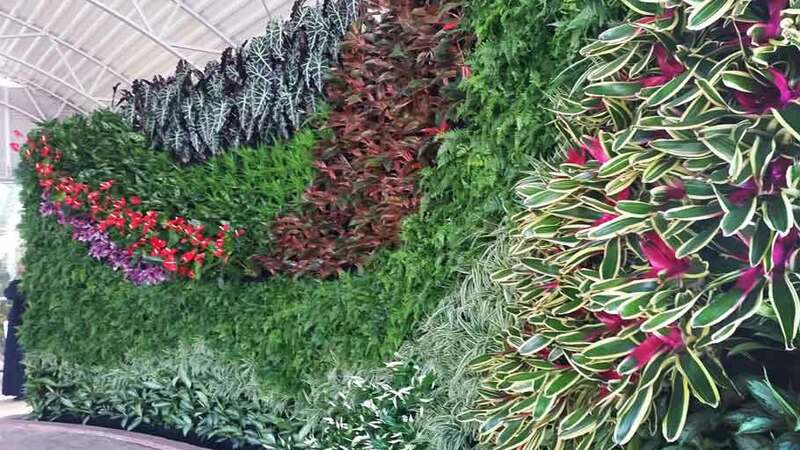 Did you know green walls are not only spectacular but also good for your health? 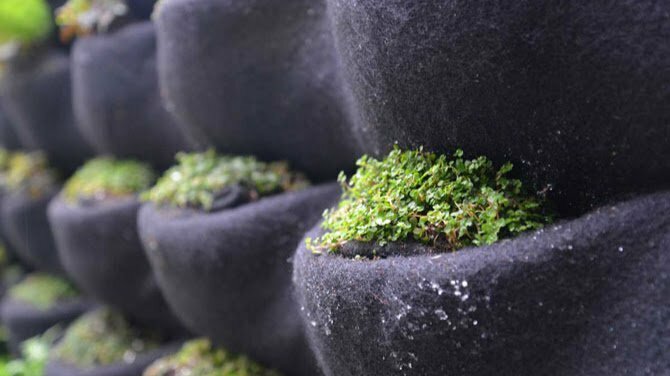 Plus they save space, increase indoor oxygen and need less water than potted plants. 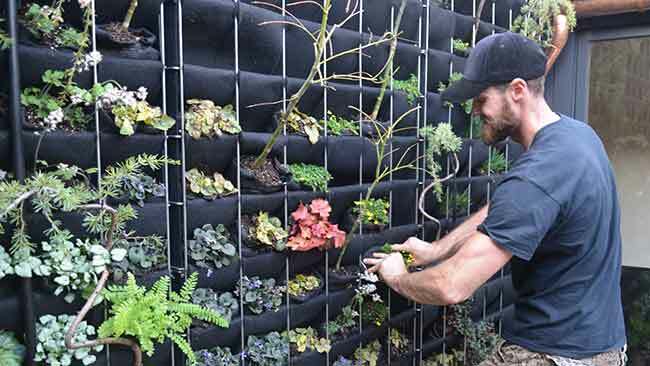 You don’t need a green thumb to have your own vertical garden. 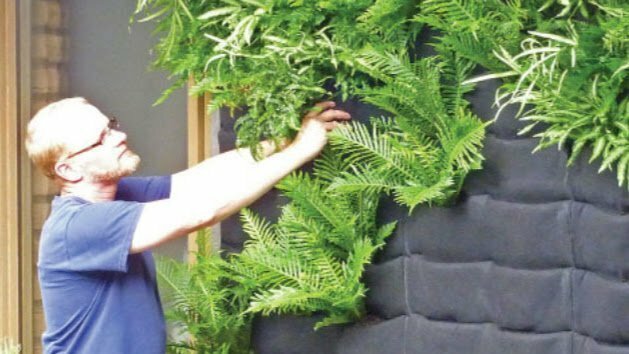 Find out how easy it is to design and install living walls with our detailed tutorials, guides and instructions. 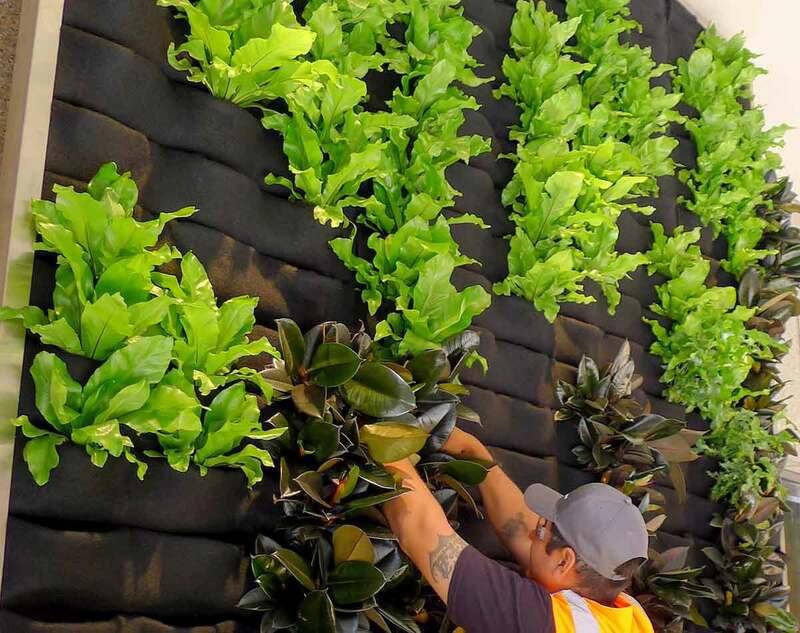 Join the biophilic revolution. 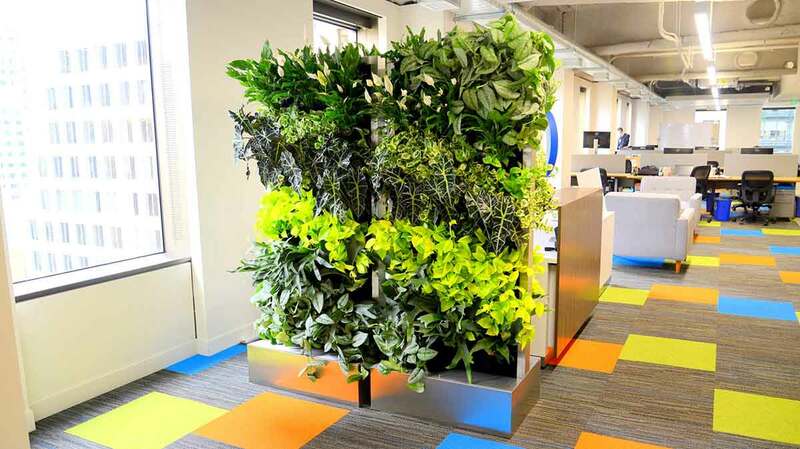 Plants are helping reduce stress, boost productivity and clean the air in workplaces from offices and schools to hospitals. 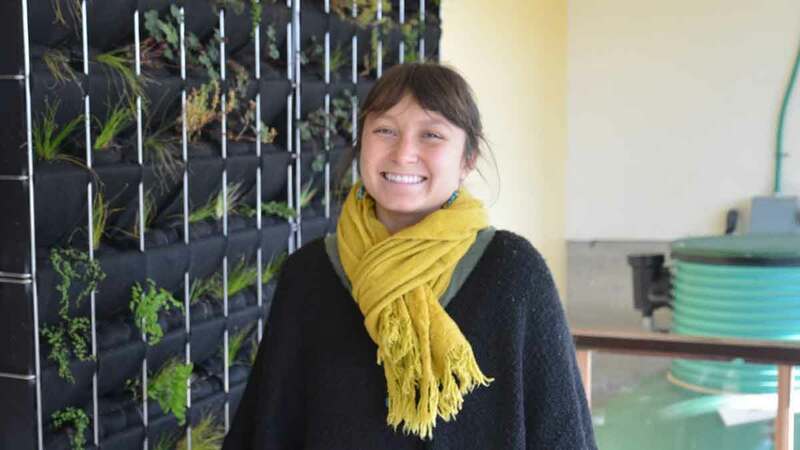 Green is the new coffee break. 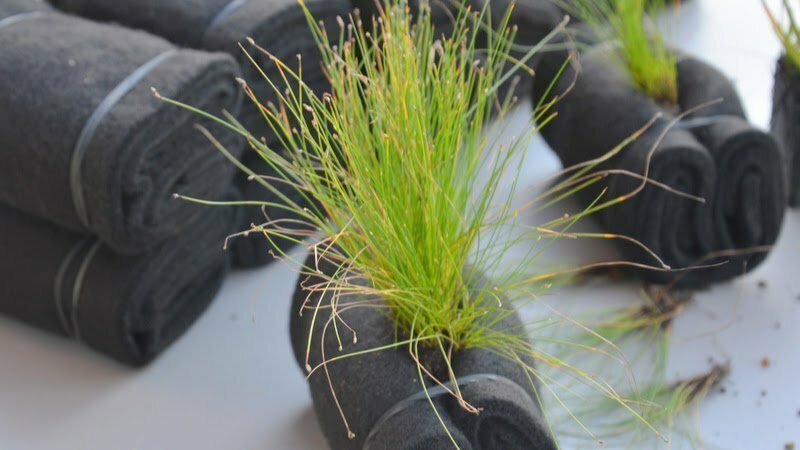 Got mycorrhiza? 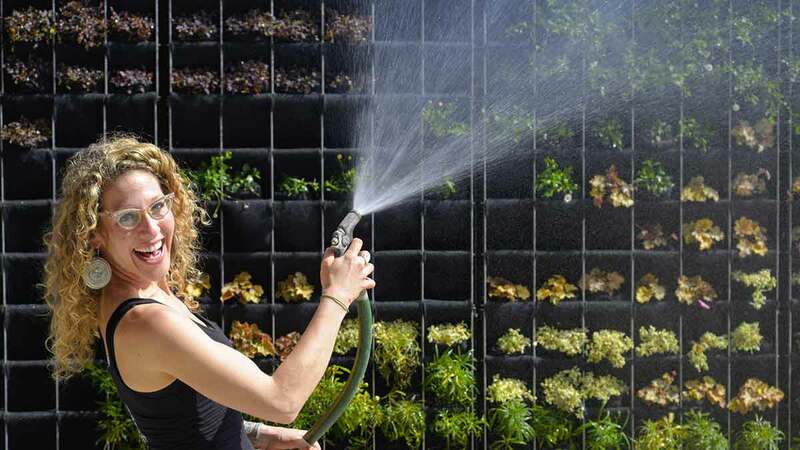 Learn how increasing the number of plants around you is another step toward sustainable living and environmental harmony.